The fans have been waiting for the new season to start as soon as the last season ended, and it has been a long wait. They are excited and can’t wait to see their teams they support to start off with a win. The players are also excited as they haven’t actually played that much competitive football in the break they had. La Liga is one of the best leagues in the world, and everyone is waiting for it to start. 23rd August 2016 at 01:30 (IST). 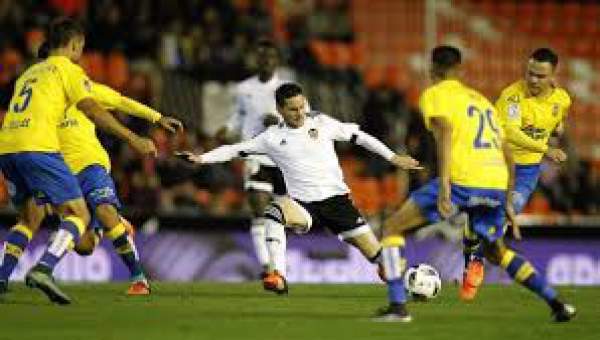 Valencia CF did not have a good season in 2015/16 as they finished 12th on the table which is way below what is expected from them. They finished with 44 points from the 38 games they played, winning 11, drawing 11 and losing 16 games. They scored 46 goals and conceded 48 goals in total. Paco Alcacer was their top scorer with 13 goals to his name and Dani Parejo had eight goals to his name as well. Paco Alcacer also had six assists as well along with 13 goals. They have sold Andre Gomes to Barcelona for 35,000,000 Euros, Javier Martinez to Espanyol and Yoel Oterino to Eibar. They have bought Luis Nani from Fenerbache, Martin Torralbo from Barcelona and Alvaro Medran from Real Madrid. They played their last friendly against Fiorentina and won the game by 2-1. Federico gave Fiorentina an early lead but then Valencia scored two in 20 minutes and 87th minute to win the game. Rodrigo scored in the 20th minute, and Daniel Parejo scored in the 87th minute of the match. Las Palmas finished 11th on the table last season and did not impress much. They finished with 44 point from 38 matches they played as they won 11 games, drew 11 and lost 16 games. They scored 45 goals and conceded 53 goals in total in which Jonathan Viera was their top scorer with 10 goals to his name who also had nine assists to his name. They have bought Kevin-Prince Boateng from KAA Gent on a contract until 2017.